Welcome to this episode of the Real Fast Results podcast! Today’s special guest is someone who is very creative and extremely accomplished. His name is Greg Cesar, and he has a fantastic opportunity to present to you that hardly anyone else is harnessing right now. Greg is an international expert in creative internet marketing strategies. Over 100,000 people have purchased Greg’s products online, so obviously, he knows how to sell products. Greg has been invited to speak on stages as far away as Singapore and Malaysia, and he has helped thousands of students to drive more laser-targeted traffic to their websites. Again, he is a creative thinker, and therefore, he often uses out-of-the-box strategies to dominate niche markets. Through his courses and trainings, Greg teaches people how to utilize mindset marketing, how to find hidden entry points in niche markets, and more specifically, how to use emotional triggers that help to get people to click on ads and buy more. First of all, thank you for having me on the show. The promise is that by the end of the show I will have shown you a new way to be able to sell information. 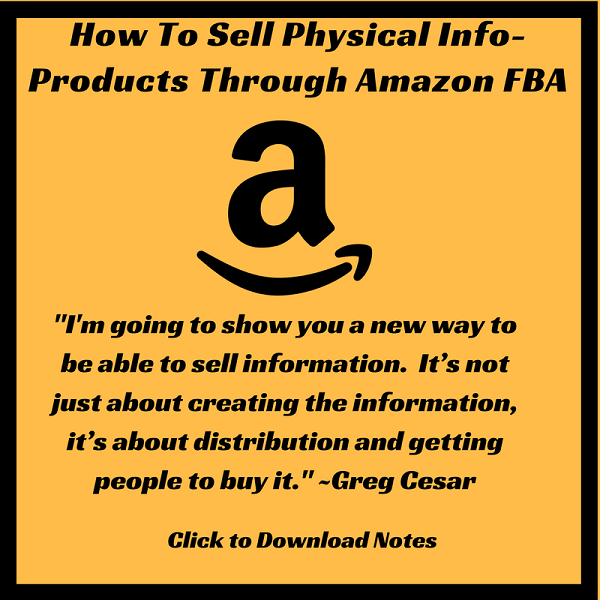 It’s not just about creating the information, it’s about distribution and getting people to buy it. Click To Tweet When you kind of understand what we’ve done, you’ll know why this is one of the easiest things that I’ve ever done, and also, one of the most profitable. If you get it, this could literally change your life. Hopefully, this will make sense to you today. I guess you shouldnt let this stop you from doing persuing this model but im curious if you ever get complaints or negative reviews if the customer discovers that youre using a PLR product? Anything is possible… But that is one the reasons why you should add your own value and tips to your product. PLR is just a starting place.